There's a spoiler to the Black Panther movie that no one noticed. There's a huge potential spoiler to Black Panther that no one has talked about and it's been in plain sight for weeks! I haven't seen the film, but this one totally makes sense. Update: Now that I've seen the film it doesn't make sense. While working on an article about the costumes in "Black Panther" I researched and read every article about the costumes. 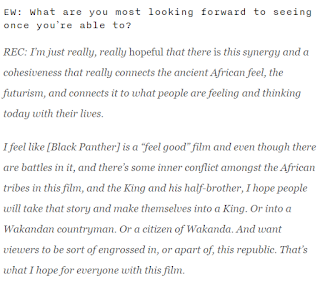 Back in December of last year costume designer Ruth E Carter did an interview where she talked about the film. 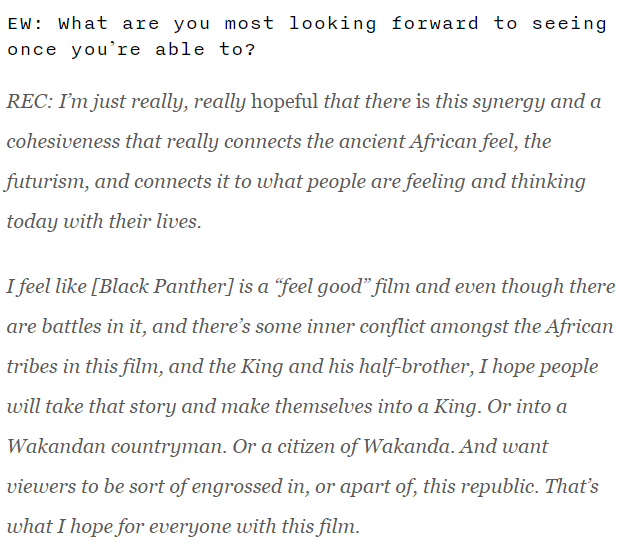 "I feel like [Black Panther] is a 'feel good' film and even though there are battles in it, and there’s some inner conflict amongst the African tribes in this film, and the King and his half-brother, I hope people will take that story and make themselves into a King," Carter told AfroPunk (emphasis ours). There's the spoiler: Erik Killmonger (Michael B. Jordan) is T'Challa's half-brother. This is a huge departure from the comics but it makes sense. In the comics Killmonger's real name is N'Jadaka. His father was forced into helping with Ulysses Klaw's attack on Wakanda and died. Young N'Jadaka and his family are exiled from Wakanda and he resents the royal family. Killmonger returns for revenge. 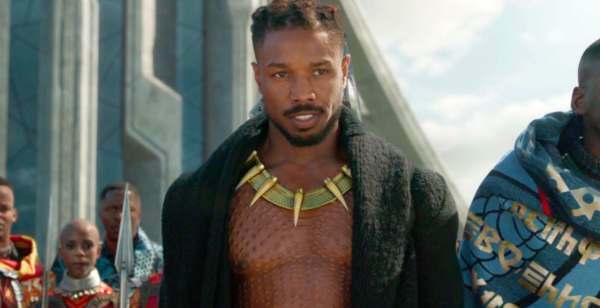 What do we know about Killmonger's past in the movie? Not much but we do know they've kept one pivotal point: Ramonda. T'Challa's father T’Chaka has been married three times. Ramonda is T'Challa's step-mother and Princess Shuri is his half-sister. No other brothers are mentioned in the marketing of the film, but Black Panther has a step-brother in the comics. Black Panther #2 (1977) introduces Jakarra. Jakarra is T'Challa's half-brother and dreams of becoming Black Panther but he's too small. He becomes a Wakandan general and stages a coup in T'Challa's absence. Sound familiar? All of this fits in with what we've seen of the film. Killmonger wants the throne. Killmonger feels it's his right. He wants to physically best Black Panther in combat. That would make sense if he feels he has the legal right to the throne. But would Marvel combine two unrelated characters into one? You bet. They've done it before. Iron Man 2 awesomely combined elements of villains Whiplash and the Crimson Dynamo. Iron Man 3's Aldrich Killian's combines elements of Aldrich Killian, Mallen, and the Mandarin. OK, that one kind of sucked. So there you have it, the motivations for Erik Killmonger is even stronger than we thought. Instead of just being a dude out to overthrow someone he thinks is messing up. It's about a brother trying to reclaim his birthright. It's a pretty exciting twist and makes me want to watch the movie even more. What do you think of the spoiler? Does it help or hurt the movie?